Designed to encourage outdoor activity during Seattle’s winters, Rainfly is a modular tensile shelter system that can be deployed in urban public areas to provide protection on rainy days and light on gloomy days. 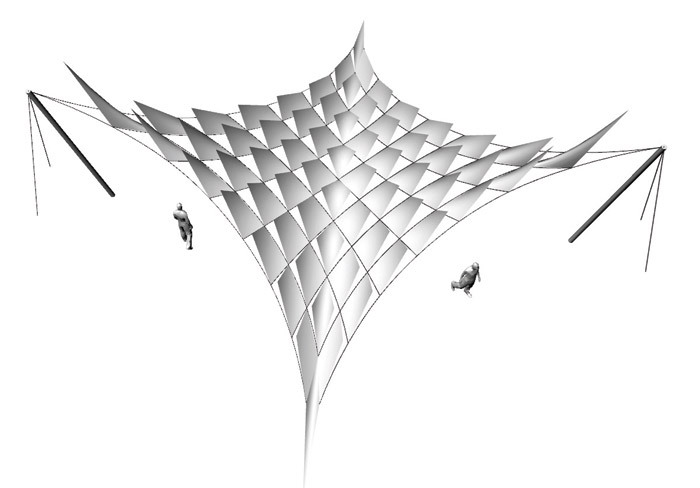 The flexible shelters create space where people can enjoy being outdoors and engaging with the everchanging weather. Taking inspiration from plants that respond to external stimuli, Rainfly reacts to both the sun and rain, harvesting and storing sunlight in summer months and rain in the winter. Rainfly is made of fabric that harvests light on one side through photovoltaics and emits it on the other via LEDs. 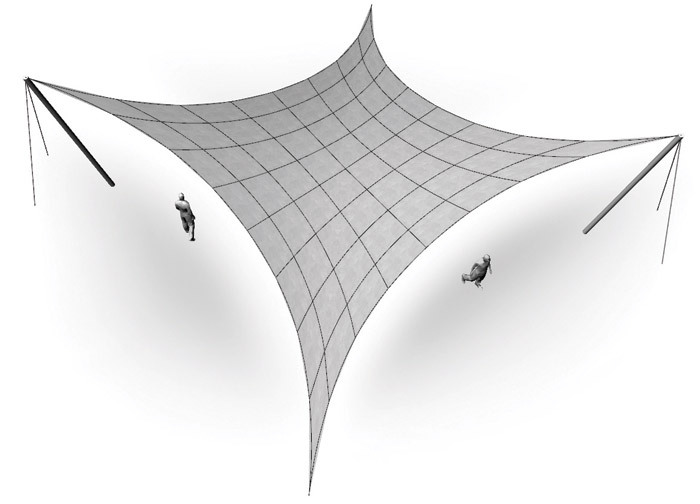 The tensile form and transformative skin can be shaped to divert rainfall for water collection. We imagine that this modular system could also be reconfigured into an emergency shelter in the event of an environmental catastrophe, or provide protection from the elements for those experiencing homelessness. Owner and principal of Seattle-based Olson Kundig, Kirsten R. Murray’s work is characterised by contextual buildings that emerge from collaborative design partnerships. Throughout her 28-year practice, Murray has designed a range of project types, from private residences to mixed-use buildings, multifamily developments, art spaces, historic and commercial renovations and urban design projects.